Diamond7 Review - Try Casino with 50 Free Spins + €500 Bonus! The Diamond7 Casino is an online casino with a very wide selection of the best online casino games. The casino was founded in the year 2015 and it offers games from industry leaders such as NetEnt, BetSoft, Leander, Migrogaming, WMS and NYX. Besides that the casino also offers games from many other smaller game suppliers. ..
Summary rating from 20 user's marks. You can set own marks for this article - just click on stars above and press "Accept". The Diamond7 Casino is an online casino with a very wide selection of the best online casino games. The casino was founded in the year 2015 and it offers games from industry leaders such as NetEnt, BetSoft, Leander, Migrogaming, WMS and NYX. Besides that the casino also offers games from many other smaller game suppliers. As a member of Diamond7 casino you can play 1.500+ casino games on your desktop or on a mobile device (Table or Smartphone). Diamond7 Casino is a casino brand that is operated by Full Cream Affiliates. This is a well-known company in the online casino industry. Diamond7 has 3 valid licenses. They have a MGA, UKGC and Swdish Gaming license. Want to know more about this casino? Then check out our Diamond7 review below! All new players at Diamond7 Casino receive a very generous welcome bonus. When you decide to register a free account at Diamond7 Casino you receive a bonus on your first 3 deposits. On each deposit you receive an amount of free play money and a number of free spins. In total you can claim up to €500 free play money and 50 free spins. The casino doubles your first real money deposit and you receive 25 free spins on the popular video slot Hotline. Minimum deposit at Diamond7 Casino is €10. Ready to try Diamond7 Casino? Click here and open a free account on this page. As mentioned before, Diamond7 offers great games by industry leading software suppliers such as NetEnt, Betsoft, Leander, Microgaming, WMS, Red Tiger Gaming, ELK, Play 'n Go and NYX. You find the best slots, jackpot slots, live casino games and of course Blackjack and Roulette at Diamond7 Casino. Besides that you can also play Keno, Table games, Poker, and fun & scratch games. You are able to play at real tables with real human dealers behind those tables. At the live casino section you find real tables powered by NetEnt live gaming and Evolution Gaming. There are over 1.000 different slot games available on the website and in the mobile casino. Popular Slot games like Book of Dead, Reactoonz and Starburst are also available at Diamond7 Casino. The majority of all games is developed for use on different devices. 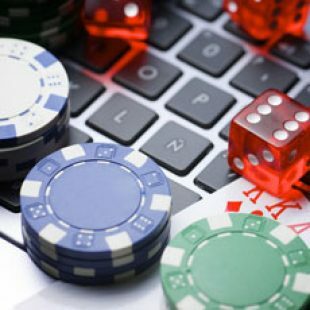 You can play casino games on your computer, tablet or smartphone. Diamond7 also has a website that is suitable for use on your Smart TV. We think this casino offers something for everyone! Don’t know what to play? Then check out the top games section. It offers classic games like Starburst, Foxin Wins, Jack and the Beanstalk, Jack Hammer 2 and many more. And when you are looking for a specific game you can always use the "search bar" on top of the website. Ready to try a few games at Diamond7 Casino? Click here and open a free account. We add 100% extra play money and 25 free spins in your account while you register your free account. 50+ Jackpot Slots available - Win millions! Do you want to win big at an online casino? In that case I recommend you to join Diamond7 Casino and start playing Jackpot Slots. On their website you find over 50 different jackpot slots. You can play progressive jackpot slots or fixed jackpot slots. Progressive jackpot slots can have jackpots up to €10.000.000. The average progressive jackpot at Diamond7 Casino is €1.000.000 or higher. In the screen above you see a few examples of progressive jackpot slots. Every spin these jackpots increase. Recently a player from Finland won €18.900.000 on Mega Moolah slot. When you play progressive jackpot slots you can win the jackpot with a €0,20 spin or with a €5,00 spin. It doesn't matter how much you bet, each player has equal chances of winning the jackpot. You can also play jackpot slots with a fixed jackpot. Jackpot amounts on these games are based on your bet level. When you bet €1,00 per spin your jackpot is higher then when you bet €0,50 per spin. Most fixed jackpot games offer you 3 jackpots. A mini, a Major and a Mega jackpot. It is easier to win one of the jackpots than a progressive jackpot. When you love to play classic table games you feel welcome at Diamond7 Casino. At Diamond7 Casino you are able to play all kinds of classic table games. Of course there are different roulette and blackjack games. Try French, European and American Roulette. Or try European, Single or Classic blackjack. You can also play poker, pontoon, Baccarat, Red Dog and Punto Banco. All games have different bet levels. You can play with low stakes or try a few games with high stakes. Diamond7 Casino is the perfect casino for every kind of player. Why visit a land-based shop to buy scratchcards? At Diamond7 Casino you can buy online scratchcards. Buy a card and within a few second you know if you have a winning card. At Diamond7 Casino one out of 3 scratchcards is a winning card. You can win up to €25.000 with one single scratchcard. Try your luck and see if you are one of those lucky players. Diamond7 Casino opened her doors in 2015 and they are still online. Every day thousands of players are playing at the casino. In the past few years the casino received a lot of positive feedback from players. Of course there are always negative reviews on certain websites. But Diamond7 receives a lot more positive reviews. 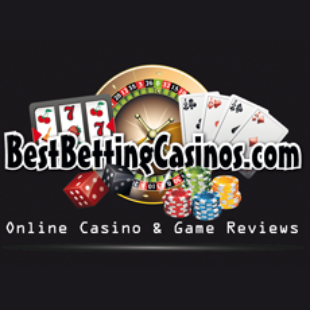 At a lot of casino review websites this casino receives a 8 out of 10 or higher. After we played at the casino for a few weeks we give Diamond7 a 9 out of 10. 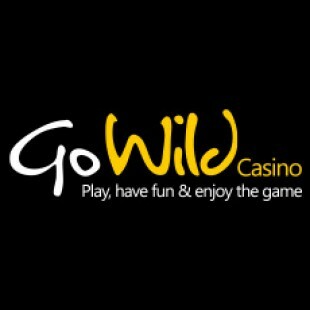 The casino is operated by Full Cream and this company has a very good reputation in the online gaming industry. The fact that this casino has 3 valid licenses is also a good indicator of trust. There are also famous streamers that play at this casino and recommend it to their followers. It is easy to verify your account. 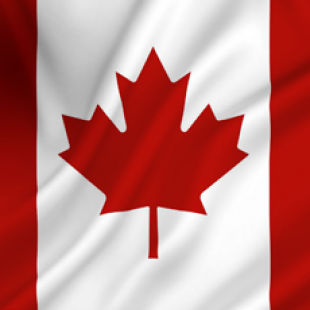 Upload your personal documents and within a few hours the casino verifies your account. No maximum withdraw and you receive jackpot payments in one single payout. This feedback from our visitors and our own opinion together results in a very positive review for Diamond7 casino. This casino is 100% trustworthy and we recommend our visitors to try the casino. 70% Of all online casino players uses a tablet or mobile phone to play casino games. 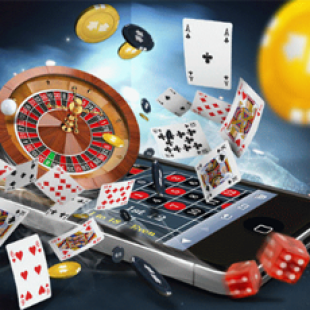 So it is very important that online casinos offer a website that is developed for use on smartphones and tablets. Diamond7 recently relaunched her mobile website. In the screen above you see the casino on a mobile phone. As you can see there is a menu and a sign up button on the main screen. You also find the most popular games on the homepage. On the homepage you are also able to scroll and search between games. Diamond7 Casino makes things as easy as possible. Navigation is super simple and all important things are only 1 click away from their homepage. They use low resolution graphics which leads to fast loading pages and games. The casino is super player friendly and easy to use for every type of player. There are a few interesting bonuses and promotions available at Diamond7 Casino. These bonuses are available for new players. You only receive the bonuses when you never registered an account at the casino before. When you use a bonus you have to accept the bonus terms and conditions. the most important bonus term you need to know before you use a bonus are the wagering requirements. When you accept the bonus you have to wager your bonus money and/ or your free spinnings 35x before you can withdraw your money. If you don't want to accept these terms I recommend you to play without using a bonus. When you don't use a bonus you have full control over your money. Players that manage to hit a few big wins shortly after they made their deposit can withdraw that money directly. You don't have to reach any wagering requirements. Diamond7 gives you 100% bonus on top of your first deposit. Make a deposit between €20 and €100 and the casino doubles your deposit amount. On top of that you also receive 25 free spins on a popular slot machine. You can choose between Hotline and Fruit Spin. Each spin is worth €0,20 and you can win an unlimited amount of money with these spins. Make a second deposit at Diamond7 Casino and receive 50% extra play money from the casino. Deposit between €20 and €500 and the casino adds 50% extra play money in your account. This is free play money and you can use it on all the available games. On the third real money deposit you receive another 50% bonus from Diamond7 Casino. With this bonus you are able to claim up to €150 free play money. Make a deposit between €20 and €300 and you get 50% extra play money for free. On top of that you also receive 25 free spins on Jungle Spirit or Planet of the Apes. When you deposit €300 you receive €450 in your account. 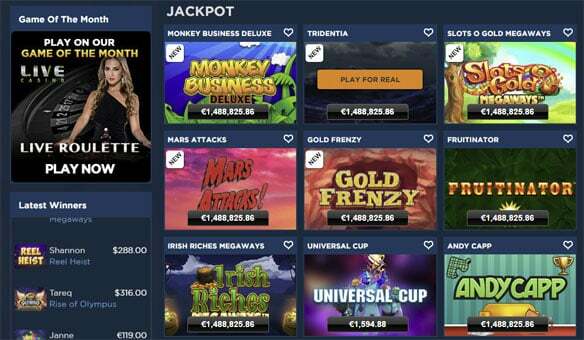 And you can choose if you like to play 25 free spins on Jungle Spirit or Planet of the Apes. How to collect bonuses at Diamond7 Casino? Diamond7 prides itself on giving first class customer service and support. The customer support team is there to assist you with your query. If you have a problem or questions you can email them or use the live chat. A great thing is that the live chat is available 24/7, 7 days a week and 24 hours a day. For regular questions you can look at the F.A.Q. on the website. At the moment there is no phone support available at Diamond7 Casino. At every casino we play for a while. During our stay at the casino we always test the customer support tools. We use all support tools and we test the response time. In my opinion a fast response on questions and problems is vital at an online casino. As a player you can get a negative experience when you have a problem and the casino does not help you with it. Of course there can always be issues or problems but reliable casinos solve these issues fast and in a professional way. At Diamond7 Casino we tested live chat and Email support. You find extra info in the Diamond7 review. Live Chat - After opening the live chat on the Diamond7 website we received a message from an employee after 36 seconds. This is a perfect response time for live chat. We asked the girl a question and within 2 minutes we received an answer and a solution for the problem. 2 Minutes is a perfect response time and the employee was very helpfull and friendly. Email support: At Diamond7 Casino you can send an email to support@diamond7casino.com. The average response time on email support at online casinos is 24 hours. At Diamond7 Casino we received an answer within 8 hours after we send the email. Diamond7 Casino is a reliable online casino. The casino only has casino games developed by reliable game providers. It is very positive that this casino runs on the software of White Hat. White Hat software is stable and they deliver an amazing website and mobile casino. Diamond7 surprised me because I thought it was another average casino again. But it isn't because they are simply a bit better on every important criteria. Games: 1500+ Games available. I guess you never get bored with this amount of games. 1.000+ Games are also available when you play on a tablet or smartphone. You can play over 800 different slot games and there are also live casino games and scratchcards available. Tip: try one of the Progressive jackpot slots and see if you can win a multi-million jackpot. Bonuses: All new players at Diamond7 receive bonuses on their first 3 deposits. This is awesome because at most other casinos you only receive a bonus on top of your first deposit. In total you can collect €500 free play money and 50 free spins. Security: Diamond7 Casino is a qwell-secured website. The connection is secured and all payments are processed by third party payment compenies. Your data and financial information is safe at the casino. Customer Support: Perfect support. On live chat you have an answer on your questions within 2 minutes. And when you send an email to the support desk you receive an answer within 8 hours. I can only recommend this casino. It is a perfect place to play casino games. It is a safe and reliable casino with amazing games. I think you will enjoy your stay at Diamond7 Casino. And with a bit of luck you walk away with some money. Ready to try Diamond7 Casino? Click here and register a free account today. We receive questions from our visitors and from players at Diamond7 casino. Underneath we share these questions with all our visitors. Maybe these questions and answers can help you when you have a problem at the casino or when you need some extra information before you start playing. Is Diamond7 a reliable online casino? Yes it is. Our team of casino experts tested the casino a few weeks. We tested the casino on the following criteria: registration, security, payments, games, bonuses and customer support. Diamond7 Casino scores a positive review on all these criteria. It is a reliable casino and we recommend the casino to our visitors. What kind of games can I play at Diamond7 Casino? Diamond7 Casino offers 1.500+ online casino games. You can play 1.000+ slots, classic table games (roulette, blackjack, punto banco, pontoon, baccarat), poker, progressive jackpot slots and scratchcards. You can also play live casino games. Play at real casino tables with real human dealers behind those tables. Around 1.000 games are also available when you want to play on a tablet or a smartphone. Does Diamond7 offer interesting bonuses to new players? Yes, this casino offers a few interesting deposit bonuses. When you join Diamond7 Casino you receive a bonus on top of your first 3 deposits. The casino doubles your first deposit and they also give you 25 free spins. When you decide to make a second and third deposit you receive 50% extra play money and another 50 free spins on each deposit. At the moment the casino doesn't offer a no deposit bonus. What is the minimum amount of money I have to deposit at Diamond7 casino? Minimum deposit amount at Diamond7 Casino is €10. How long does it take before Diamond7 Casino pays me my money? Diamond7 has a few super-fast payment and withdraw options. When you use Trustly, Skrill or Neteller you receive your money within 1 hour after you requested a withdrawal. Creedit card and bank transfer payouts take a little longer and will be proceeded within 2-6 business days. Is there a reliable customer support tool available at Diamond7 Casino? Yes there is a solid customer support section available at the casino. You can use the 24/7 live chat. There is always a customer support employee available for you. Normally you receive an answer on your questions within 2 minutes. 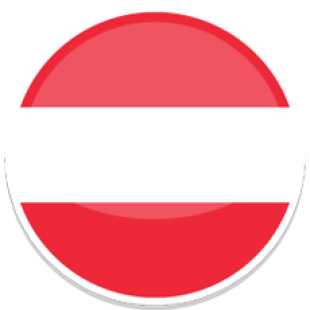 Live chat is available in multiple languages. How often do I have to wager my bonus money before I can withdraw money at Diamond7 Casino? You have to wager your bonus money 35 times before you are able to withdraw your money. Is there a maximum cash out amount and do I receive jackpot wins in one payment? There is no maximum cash out amount. High rollers are able to withdraw big amounts of money in one time. And when you win a jackpot you receive that money in one time. You don't have to withdraw it in different shares. 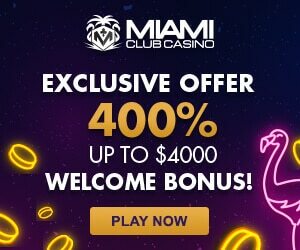 100% Bonus + 25 Free Spins. Bonuses on first 3 deposits. You'll find the most exciting online casino games at Diamond7 Casino. . Collect your unilimited 100% Diamond7 welcome bonus now!